This “quarterly report” is going out very late because we have been busy collaborating with our partners on the ground. We need you to take action in order for this collaboration to be successful, so we’re going to start with suggested actions before reporting on some of our recent activities. *Make a donation of any size and all funds will go to our partners in Guatemala! We thank our fiscal sponsor the UPAVIM Community Development Foundation, a US tax-deductible 501c3 nonprofit organization, for helping us ensure that all funds go to our partners. To donate via check please make a check out to “UPAVIM” and mail to UPAVIM, PO Box 63, Marshfield, VT 05658. Please write “GSP” in the notes/memo section of the check. You can also donate via our website. Our partners determine funding priorities. Current urgent needs for donations include support for political prisoners, medical and other support for communities attacked by government and private security forces, and support for filing legal motions to prevent violent “evictions” of indigenous communities. 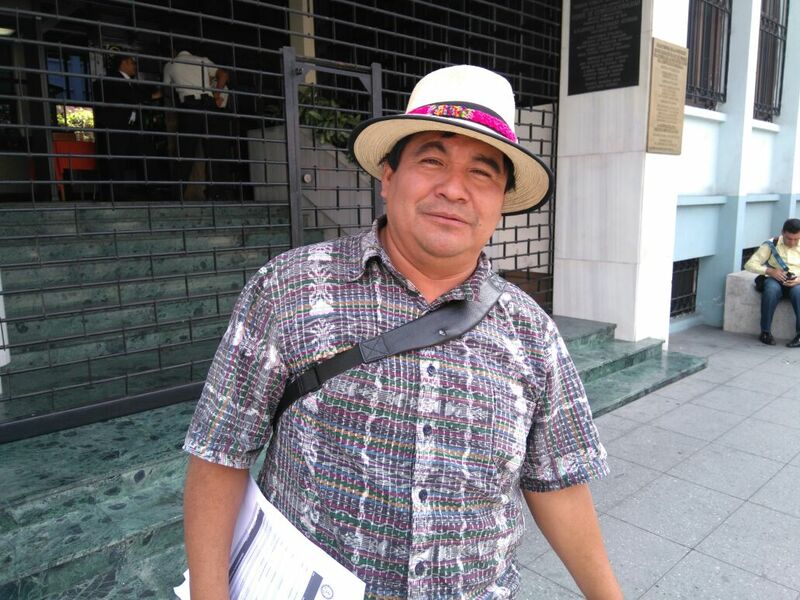 *Sign the petition to free human rights defender Bernardo Caal Xol at https://www.change.org/p/guatemala-attorney-general-freedom-for-q-eqchi-human-rights-and-water-defender-bernardo-caal-xol Together with the publication of this quarterly report we are also publishing the online version of our new petition which we’ve developed with our partner El Colectivo MadreSelva. Bernardo Caal Xol is in prison for being an indigenous Q’eqchi’ leader who has spoken out against the illegal construction of massive hydroelectric dams in indigenous territory, especially the Oxec and Oxec II hydroelectric dams which were built without consulting the indigenous population as required by law and have resulted in the destruction of local ecosystems, clear cutting of old growth forests and decimation of mountain ridges sacred to the Q’eqchi’ people. 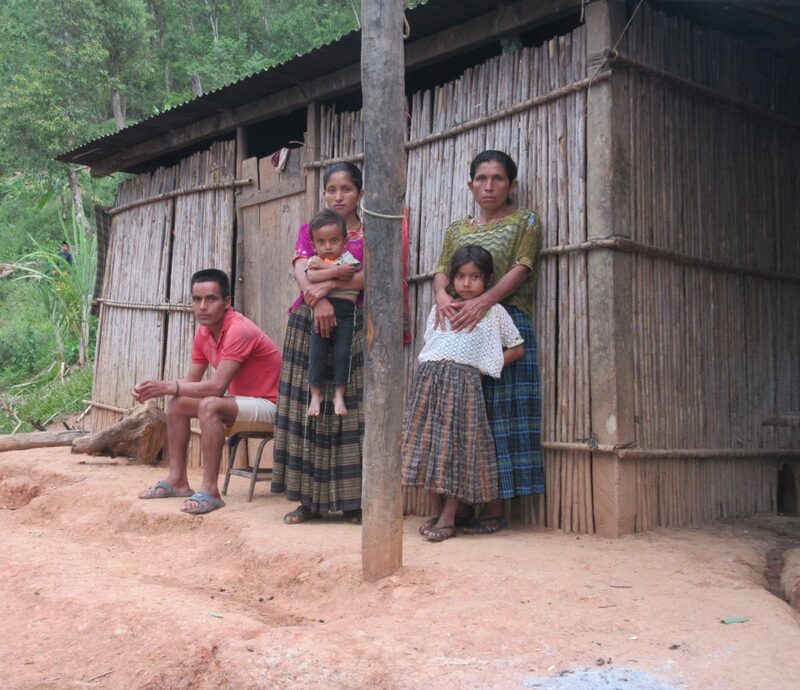 We call for the immediate end of judicial repression against indigenous community leaders in Guatemala and respect for the legal right of indigenous people to decide on development projects in indigenous territory. Bernardo Caal Xol (above) has refused to let prison silence him and has authored several letters from prison condemning environmental degradation and violence against indigenous communities. *Join us in Guatemala May 27-June 5, 2018 for the Defending Mother Earth and Indigenous Rights in Guatemala Solidarity Delegation. 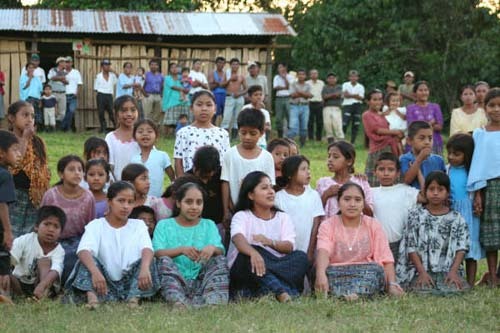 The GSP is looking for teachers, students, activists, organizers, journalists, musicians, farmers and other people of conscience to join us in Guatemala as we build solidarity with indigenous and peasant communities organizing to rescue and recuperate Mother Earth and their ancestral land rights. We will meet directly with our partners in these communities and build personal and organizational relationships in solidarity with their struggle. We will form an action plan with concrete goals that may include publishing articles and videos; organizing informational presentations in Guatemala, the US and other countries; participating in fundraising efforts in support of the communities we visit; participating in civil disobedience; lobbying US Congress against military “aid” to Guatemala; collecting petitions; pressuring multinational banks such as the World Bank to stop funding theft of indigenous lands; assisting with translation; assisting with research; and other solidarity actions. Click here for more information. *Join our urgent action email list to receive updates and participate in ongoing actions. To join our urgent action list email info@guatemalasolidarityproject.org with “Add to urgent action list” in the subject line, and we will let you know of important actions to take immediately after emergencies such as the arrest of a community leader or an attack on a community. *If you are in the US, collaborate with GSP efforts to lobby members of congress on in solidarity with our partners. Although we don’t use your donations to support our lobbying, our partners have asked us to make lobbying the US government on some specific issues a priority. The US government has an enormous influence in Guatemala and it is important we try to lessen the damage caused by US foreign policy. We are frequently trying to meet with members of congress in DC to discuss repression of indigenous community leaders, theft of indigenous land, looting of natural resources in indigenous territory, US training of the Guatemalan military and similar issues. We need your support to get members of congress to meet with us and make these meetings as successful as possible! If you are interested in collaborating in this work please send an email to info@guatemalasolidarityproject.org with the word “lobby” followed by your zip code. It is helpful but not required for you to include your phone number as well. *Like us on facebook! We’re trying to use social media more as a way to raise awareness and organize solidarity with our partners. Our facebook page is www.facebook.com/guatemalasolidarityproject/ Like us today and help spread the word! 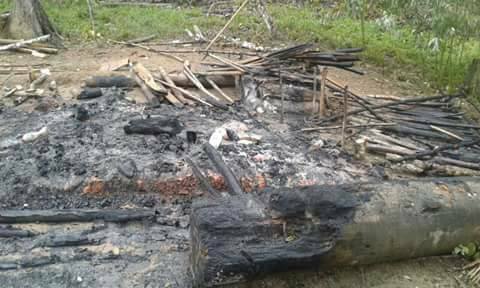 The indigenous communities Chaab’il Ch’och’, La Cumbre Sa’kuxha and Se’muy were violently evicted between October 31 and November 3, 2017, provoking an urgent health, food and housing crisis. Since this time we have collaborated with other organizations in bringing medicine, food and materials to support displaced families. We have also supported medical costs of people injured in the attacks. While we stand with communities in crisis because of violent, illegal evictions, we prefer to collaborate with them to prevent such evictions from occurring in the first place. 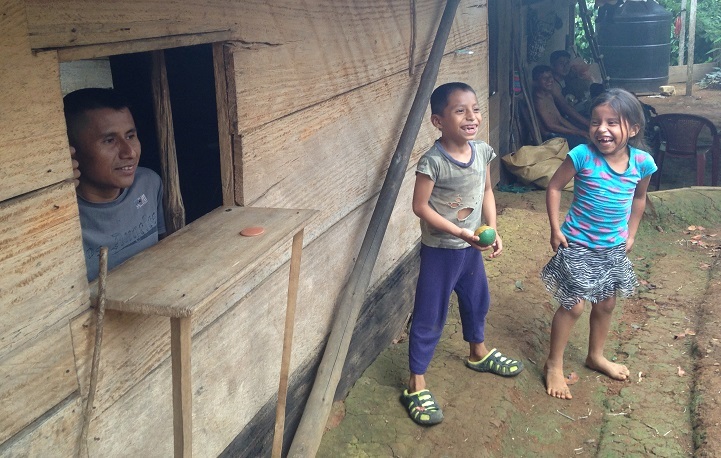 In recent months we have worked with our partners on the ground to help prevent evictions in indigenous communities like Balamche and Rio Cristalino. A variety of tactics have been used to prevent evictions, and often a $250 legal motion is a critical step. 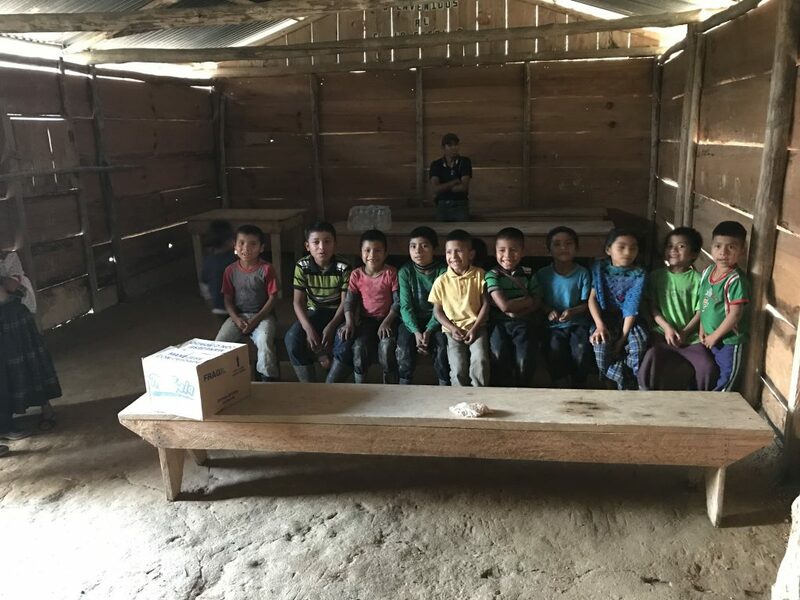 In February the GSP helped open two new elementary schools, one in the community Monte Blanco and one in the community Sibija. As a result of significant organizing by community members and GSP activists these schools are officially recognized by the government. However we are paying the teachers’ salaries – please donate so that we can fulfill this commitment! The government is not accepting their legal responsibility to provide access to education in these and many other communities, and our previous experience is that after starting and funding a school we can more easily pressure the government to take over the responsibility of school costs in future years. The GSP is closely collaborating with our partners on the ground to win freedom for indigenous community leaders who have become political prisoners. In December we finally helped win freedom for Manuel Xuc, who had been in prison since 2011 when over 1,000 police and soldiers attacked over a dozen indigenous communities and burned the homes of thousands of people in the Polochic Valley. In January we helped win freedom for Rosendo Chen nearly three months after his home community La Cumbre was attacked and burned down by Guatemalan police. 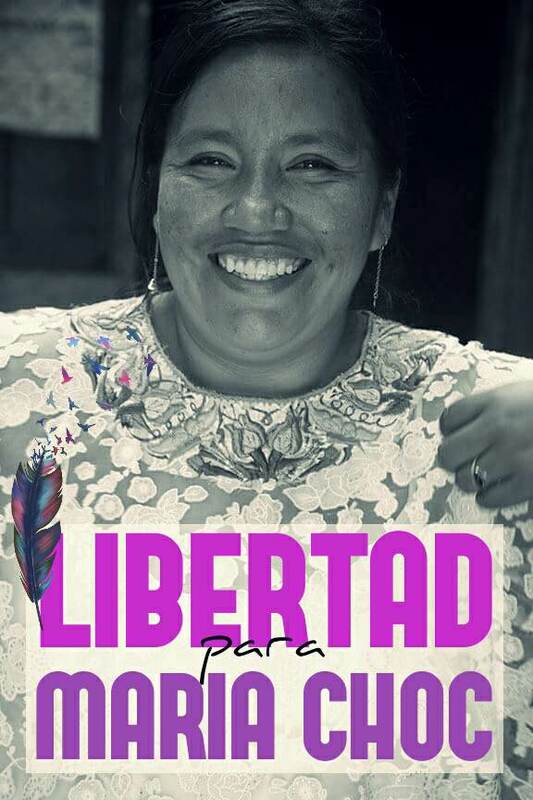 In January q’eqchi’ activist Maria Choc was arrested immediately after serving as a translator in a hearing about a land rights conflict; she was released days later after significan national and international pressure. Also in January indigenous activist Timoteo Chen was arrested on fraudulent charges that he had already spent over a year in prison for and been cleared off; the GSP quickly mobilized to help win his release. Unfortunately we have not been able to win freedom for all political prisoners, and many of those who have been arrested have faced beatings, denial of food, denial of medicine and other inhumane treatment. We have committed to visit our allies in prison at least once a month and support them with food, medicine, clothing and other needs. Among others, we are supporting: Pablo Sacrab, who was arrested in 2010 before his home community Saquimo Setana was burned to the ground; Bernardo Caal Xol, who was arrested in January 2018 as a result of his nonviolent organizing in defense of the Oxec river; and Abelino Chub Caal, who was arrested in February 2017, shortly after refusing a bribe from banana and African Palm plantations that are using violence to steal land from indigenous communities. More than 500 indigenous activists and leaders in our partner communities have arrest warrants on fraudulent charges as a reprisal for their nonviolent organizing for land and cultural rights. We are working closely with our partners to prevent the execution of these arrest warrants and the issuing of additional arrest warrants. On December 13, 2017, peasant leader Carlos Isaias Guitz Pop died as a result of being shot in the back. Guitz Pop was shot on November 8, 2013, and fought hard to survive for four difficult years of being confined to a bed and eventually a wheel chair. He was from the community Monte Olivo, which was targeted by the World Bank in collaboration with drug traffickers for the construction of a large hydroelectric dam. 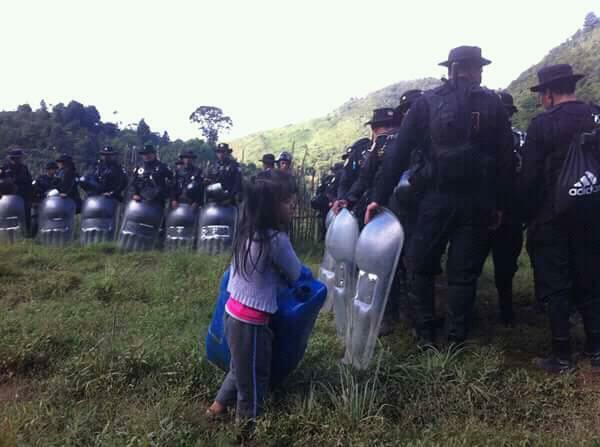 Because of the courageous organizing of Guitz Pop and other peasant leaders in the area, the dam has not been constructed and local ecosystems and indigenous land have been protected. During his best days after being shot in the back, Carlos Guitz was able to watch from a window as his family played outside. We have supported the trainings for community radios in Jalapa, where indigenous Xinka communities are organizing to demand respect for their ancestral land rights, ecologically sustainable agricultural production and the end of illegal mining in the area. We have supported families in organizing funerals for loved ones of indigenous people who were kidnapped and murdered by the government and whose remains have been discovered primarily in exhumations in the Coban military base. From April 23rd to 28th, indigenous Poqomchi’ community organizer Sofia Tot and Colectivo MadreSelva lawyer Vladimir Soto joined GSP activists in the Washington, DC area. The delegation met with nine ally organizations, several government and financial institutions including the Department of State and World Bank, nineteen congressional offices and made three public presentations. The timing of the delegation ended up coinciding with a US congressional attack against the International Commission Against Impunity in Guatemala (CICIG) and the end of Guatemalan Attorney General Thelma Aldana’s four-year tenure, which made our presence on capitol hill particularly useful. General funds were not used to support this delegation, which was organized after our partners asked us to bring a delegation to Washington, DC. CONCLUSION: We continue to get lots of done on a shoestring budget, and we need your support to continue this important work. Please consider donating or taking any or all of the recommended actions listed at the beginning of this report!